The idea was that a year in the Far East would serve as a holding pattern and keep them race fit, while furthering their education with mileage on unfamiliar tracks and in very quick cars. The stars would then align, and they could be slotted into F1 race seats. Both men did better than expected in Japan - Gasly even challenged for the 2017 title - and in both cases it all worked to plan, and their F1 graduations were assured. 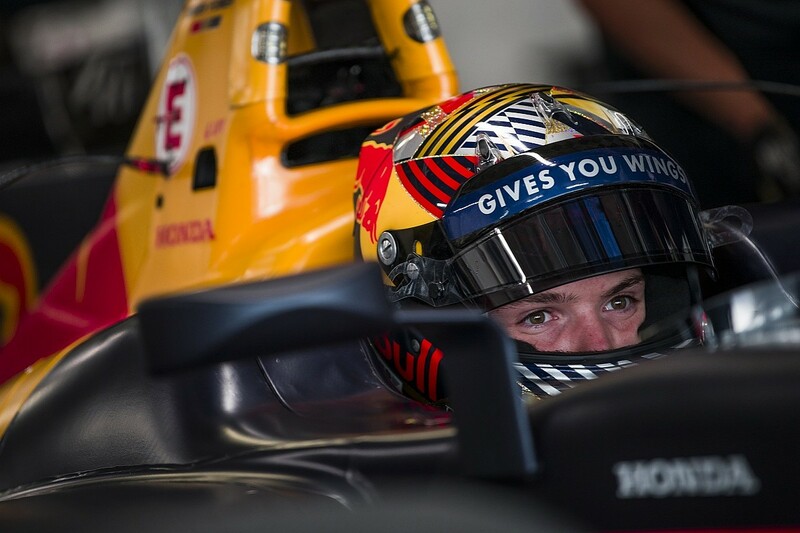 The latest high-profile visitor to Japan is Dan Ticktum, who contested a couple of Super Formula rounds last summer. The Red Bull protege has committed to a full season in 2019 as he continues to seek a superlicence while waiting for an opportunity to open up at Toro Rosso. The Briton is one of several foreign or "gai-jin" newcomers in the 2019 series. Harrison Newey, Lucas Auer, Tristan Charpentier and promising Japanese Formula 3 graduate Alex Palou are all confirmed too. So why is Super Formula so appealing for European drivers - and how has the Japanese scene developed over the decades? Before Vandoorne's entry, it had been a while since anyone moved from the country's premier single-seater series to a full-time F1 seat, and those who did generally didn't arrive in the championship with their career paths neatly mapped out. In many cases, they had simply run out of options in Europe. Often they walked off the plane at Tokyo's Narita Airport with a lucrative contract but no real long-term plan, and little idea of the challenges they would face. Then over time circumstances worked in their favour, and some were in the right place when an opportunity came up. "When I went to Japan I didn't know what I would do in the next few years," says Pedro de la Rosa, who started his adventure in Japanese F3 in 1995. "All I knew is if I did well I would stay to make some money and gain experience, because in Europe I didn't have any sponsorship. "That's why it was tough when I left home, because it was not 'one year and I'll be back'. If I came back after one year it meant I hadn't been successful enough." His commitment paid off. Over a three-year stint he won the F3, GT and Formula Nippon titles, generating enough interest in his home country to raise an F1 budget. Japan's premier category - known as F2000 (1973-77), F2 (1978-86), F3000 (1987-95) and Formula Nippon (1996-2012) before it took on its current identity - has more in common with IndyCar than FIA F2 or its European antecedents. It has always been a headline attraction in its own right, one in which established teams have competed for decades and that drivers returning to year after year. Andre Lotterer was a constant presence from 2003 to '17, and Joao Paulo de Oliveira (pictured) was too from 2006 to '16, and as such they provided a benchmark for every new visitor. "You're racing against seasoned professionals, some of whom have been in the championship for more than 10 years," says James Rossiter, who competed in the series from 2013 until last season. "It's a different challenge - it's not a junior formula, it's more of a senior single-seater championship, with older drivers who have much more experience." The presence of experienced local heroes has always been a key element of what makes the Japanese series so strong. Past champions Satoru Nakajima and Ukyo Katayama earned the opportunity to move up to F1, while more recently Kazuki Nakajima (who had previously raced in Japan only to F3 level) and Kamui Kobayashi (who left home after karting and climbed the ladder in Europe) have gone in the opposite direction, giving the series more depth as they arrived there following their F1 stints. There have always been talented Japanese drivers who either never left home, or perhaps struggled when they did briefly venture overseas. The classic example was Kazuyoshi Hoshino, who won the last of his six domestic titles at the age of 46 in 1993. And there are few outside Japan who know much about recent series champions Hiroaki Ishiura, Yuji Kunimoto and Naoki Yamamoto. "It's a very competitive series with very good drivers," says de la Rosa. "Many of the Japanese drivers are extremely strong. Once they take off from Narita [to race overseas], I don't know what's going on in their brains, but they lose all the speed! It's very strange. "It's a difficult championship, no matter which year. It's good that guys like Vandoorne and Gasly have been there, it's like a revival of the series." The foreign connection has its roots in the seventies, when stars of the European F2 series were invited for one-off appearances at Suzuka's Japanese Grand Prix, then the highlight of the domestic season. Keke Rosberg, Jacques Laffite, Hans Stuck, Riccardo Patrese, Rene Arnoux, Derek Warwick and Didier Pironi were among those who made the trip. When the eighties dawned, foreign drivers were invited to contest a full season in Japan. 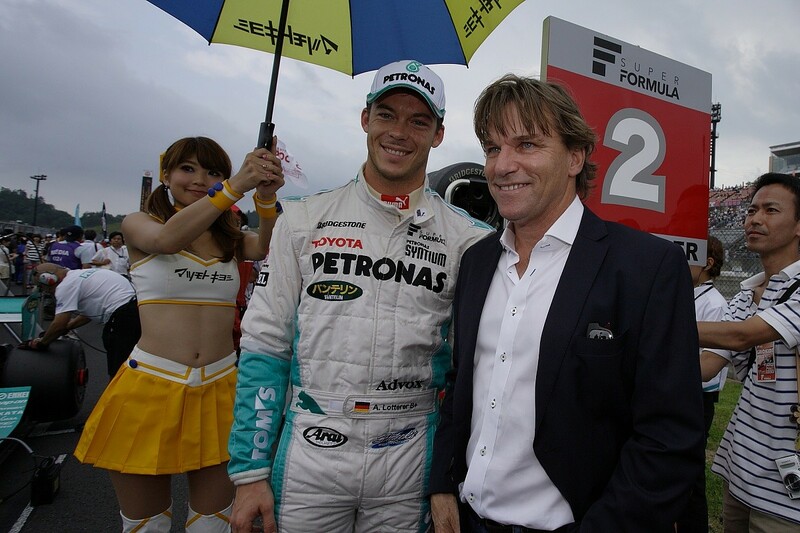 Geoff Lees and Eje Elgh were the pioneers, along with Stefan Johansson (pictured with Lotterer, below at the Super Formula round at Motegi), Mike Thackwell, Tiff Needell, Roberto Moreno and Kenny Acheson. As Japan's economy boomed, the floodgates opened, and team owners and sponsors were willing to pay the sort of money that was not available elsewhere. Drivers could boost their earnings by running in the sportscar or touring car championships, where they could forge valuable links with manufacturers; that system continues to this day, and the hugely popular Super GT category even shares its Toyota and Honda engines with Super Formula. Usually those invited to Japan had achieved some level of success at F2/F3000 level, and some had dabbled in grand prix racing, and so their higher profiles helped to justify healthy salaries. Money was obviously a key part of the appeal, but so too was the opportunity to simply keep racing and wait for an F1 chance to come. Johansson, who finished third in the 1984 F2 series, was the first driver to use Japan as a way to slingshot back to F1, and others were to follow, including Emanuele Pirro, Johnny Herbert and Heinz-Harald Frentzen. Some made contacts that would prove crucial. The Leyton House F1 team was born as a direct result of Ivan Capelli's F2 exploits in 1986, while both Eddie Irvine and Mika Salo sourced the sponsorship that paid for their grand prix debuts. 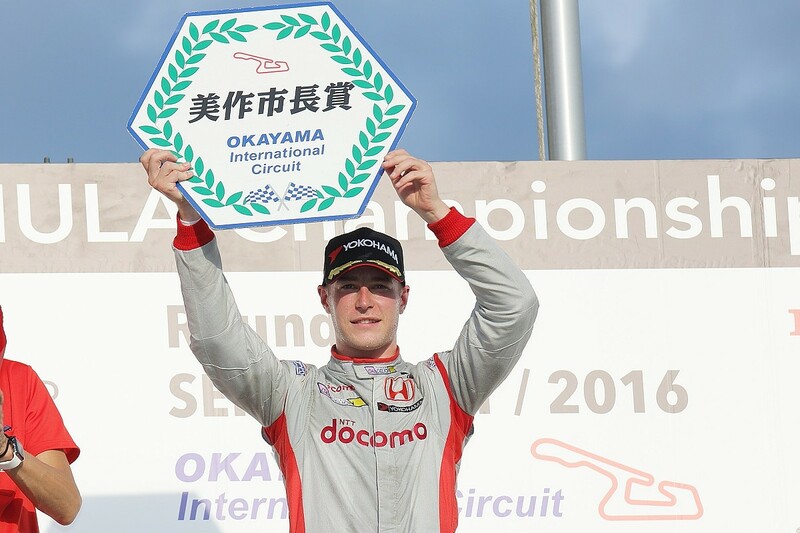 Before Vandoorne, no foreign driver had gone to Japan with his long-term future clearly mapped out, with the possible exception of Ralf Schumacher, who was sent to Formula Nippon by his manager Willi Weber in 1996. Even the canny Weber couldn't guarantee his man an F1 drive, despite his famous surname and earlier success in F3. But the strategy worked, and before he finished his impressive title-winning rookie season in Japan, Schumacher had been signed up by Jordan for '97. A few drivers have used Japanese F3 as a stepping stone to F1. Adrian Sutil won the 2006 title and went straight to Spyker, while for Marcus Ericsson his '09 campaign was a valuable step on his learning curve. 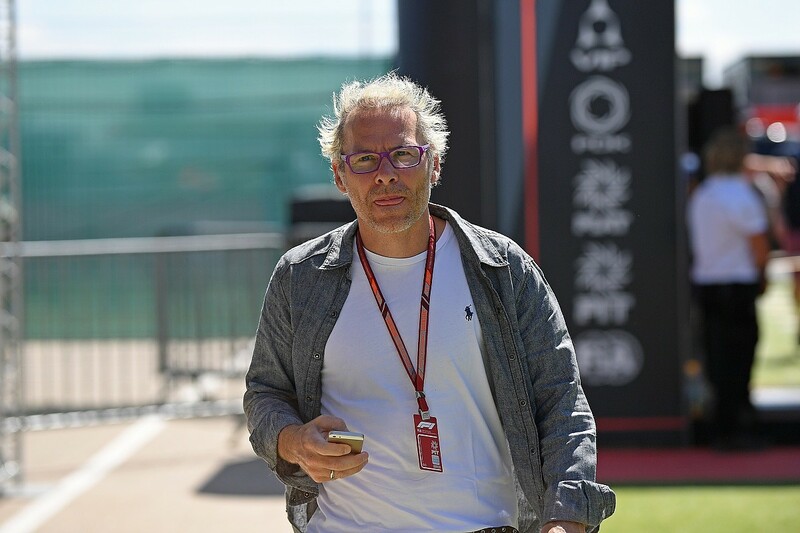 Another who made spectacular use of his single season in the series in 1992 was Jacques Villeneuve, who calls it his university year. "It forced me to relearn how to work, having a Japanese engineer who didn't speak English," Villeneuve recalls. "So you had to find ways to explain yourself and make the car progress. Until then I was right foot braking, and I decided I should be left foot braking. They gave me a full day of testing so I could practice it, and from then I became a lot faster, and I carried that for the rest of my career." Villeneuve was fortunate enough to race at a time of unlimited testing in F3 and F3000. Now it's restricted to two pre-season sessions, and that makes Vandoorne and Gasly's achievements all the more impressive. "People maybe underestimate the challenge of the series," says Rossiter. "Especially the fact that the top teams are very well established, and it's very difficult to get victories if you're not in a top team, because there's no testing. You go straight to the race weekends, and you have to deliver immediately. You can ask Kamui about it - the guy finished on the [F1] podium for Sauber at Suzuka, but he only scored one point in 2016! It is seriously demanding. "Stoffel came in with a team that hadn't won a race for a long time. And it was a huge challenge to turn that around and create a winning team. To win two races in that championship is very difficult, especially in your rookie season. It definitely shouldn't be underestimated what a challenge that was, and what he accomplished." "Gasly was very impressive in 2017," says de Oliveira. "Especially in the second half of the season he got going really strongly. Vandoorne did well the year before, but I think Gasly was just a notch above." The lack of testing is not the only thing that has changed over the decades. The days of foreign newcomers walking into big salaries are long gone. Instead the focus is on prize money, and usually teams ask how much backing can drivers can bring. Even a run at the December rookie test day requires some investment. "I think Ralf Schumacher was the first driver who changed a bit how the teams operated in Japan," says de la Rosa. "Up until then the teams chose the drivers. They realised that they had to pay a salary, sometimes small, sometimes big, but the drivers were seen as professionals. "Ralf came and chose Le Mans, a team that was probably the strongest. It was, 'I want to drive for you, let's make a deal,' so he broke the market a bit. After that it has always been a bit different. If you have drivers willing to pay for a seat, why pay them?" 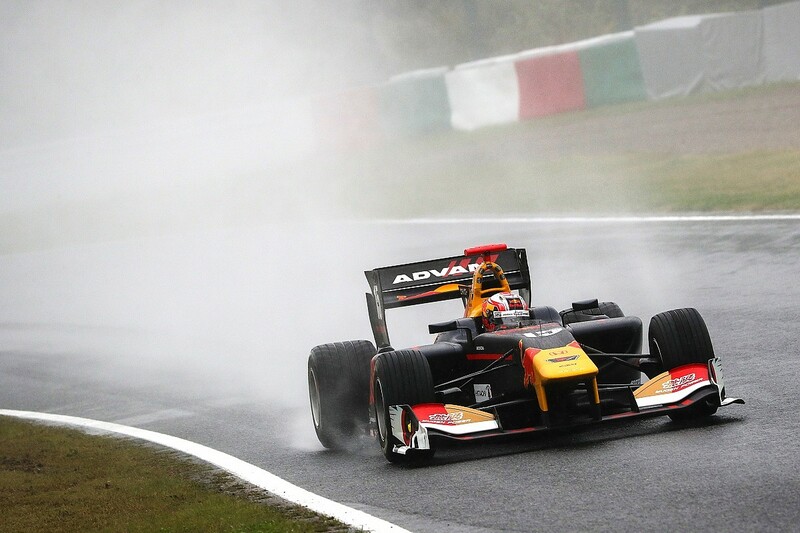 Two decades on, Vandoorne and Gasly have put a renewed focus on Super Formula. Yet it's harder than ever for a foreigner to secure a drive without the support of Honda or Toyota, or outside funding. Even for series veterans it's become difficult. 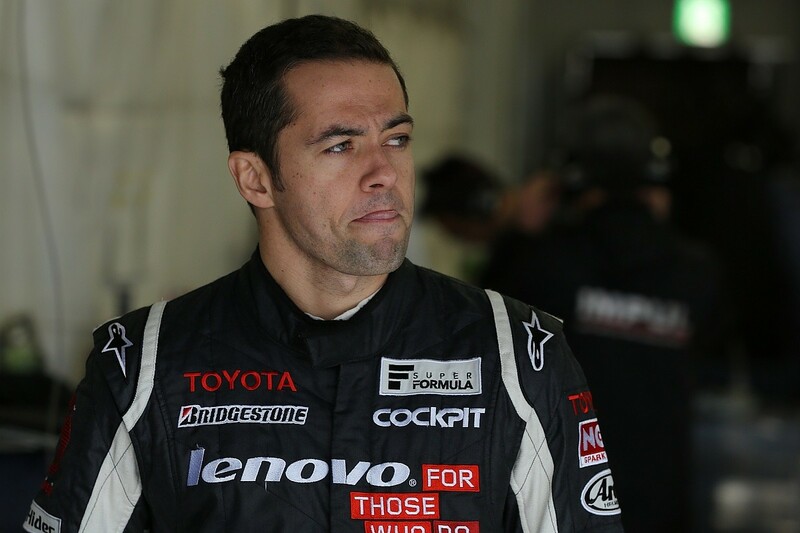 As a works Nissan man in Super GT, de Oliveira survived on merit in the Toyota/Honda controlled series for a decade, but one dip in results in 2016 and he was turfed out in favour of a Toyota-favoured candidate. After five years, Rossiter is without a drive for 2019. "Some teams are looking for drivers with a budget, that is clear," says De Oliveira. "I think they realised that they can get good drivers with money, and that's what they've been focusing on. You have to be a supported driver of one of the two manufacturers, otherwise it's a big uphill battle." De Oliveira had a shock when in December he was asked by a well-known F1 driver manager to help arrange a rookie test for a European F3 star. "I was surprised by the numbers - once I saw what it actually cost to test I thought, 'Wow' - I had no clue," he says. "Unless Toyota tells them, 'You're going to run this driver, we're going to pay for him,' they're not going to do it." 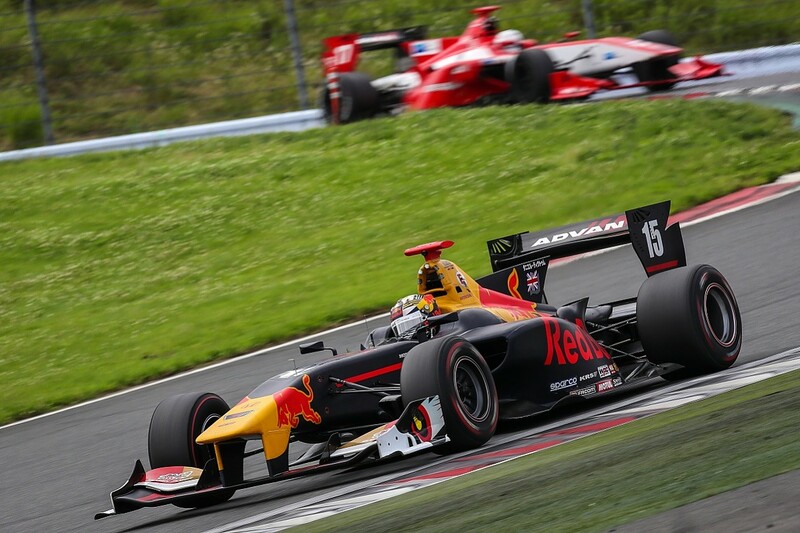 An intriguing development for the 2019 Super Formula season is the arrival of the German Motopark outfit, which will be running in partnership with an established local team but with its own management, Red Bull backing and two rookies in Newey and Auer. The switch to a new car and aero package for 2019 means a reset for all teams, but it will still be a big challenge. "It's certainly not going to be easy for them," says Rossiter. "And it will be really interesting to see how long it takes them to get to grips with it. The Japanese teams still have quite a big head start with regard to the mechanical side of the car." But most eyes will be on Ticktum, who made a solid debut at Sugo last year - albeit without the benefit of testing. "He was super impressive in the two races that he did," says Rossiter. "I think he's going to be a big threat to everybody. It's all in his hands. To be given the opportunity with the team that won the championship last year, really, there's no excuses. He's got to learn and keep developing. He's super-fast, from what we've all seen." Ticktum's career has not been without some controversy, and there will be significant attention devoted to how he fares in such a different environment. "He's obviously a strong character," says Rossiter. "And he did enjoy his time in Japan last year. I think having that small experience is really going to help him to behave in the correct manner. The team know him, he knows what he should do and shouldn't do, and that's only going to be an advantage for him. "Like any young man he's learning and growing. It's certainly a wise thing that Red Bull have done in putting him there."